charity « Liquid Assets Limited: Wine & Beer! 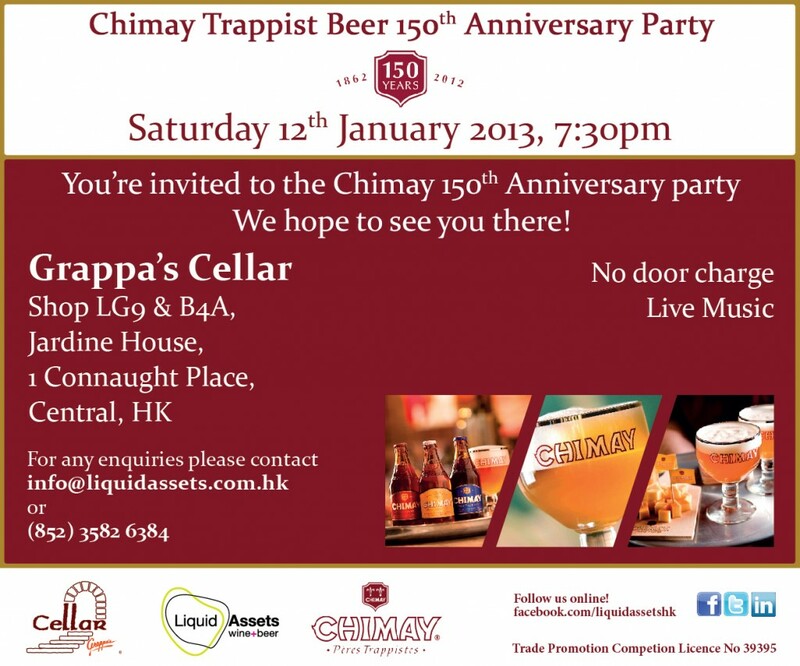 Come and celebrate 150 years of authentic Belgian Trappist Beer at our Chimay 150th Anniversary Party! An all-expenses paid (t&c apply) trip for 2 to Belgium, as well as 150 limited edition Chimay bottles! All guests are entitled to x1 Chimay welcome beer (of their choice) as well as a discounted finger-food menu, and Chimay Happy Hour prices all night long!